• Distributed . Cluster-centric design that supports the distribution of the messages over the cluster members, maintaining the semantics. So you can grow the cluster horizontally without downtime. • Multiclient . Easy integration with different clients from different platforms: Java, .NET, PHP, Ruby, Python, etc. • Persistent . You cannot afford any data lost. 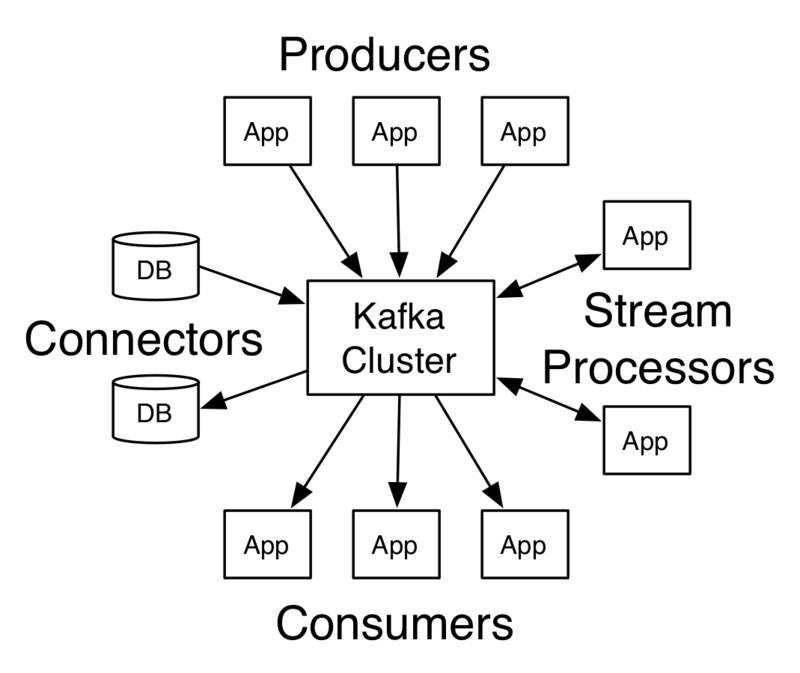 Kafka is designed with efficiency, so data structures provide constant time performance no matter the data size. • Real time . The messages produced are immediately seen by consumer threads; these are the basis of the systems called complex event processing (CEP) . • Very high throughput . As we mentioned, all the technologies in the stack are designed to work in commodity hardware. Kafka can handle hundreds of read and write operations per second from a large number of clients. • Adapters . Generate transformation information; for example, a database listener or a file system listener. • Logs . The log files of application servers and other systems, for example. • Proxies . Generate web analytics information. • Web pages . Front-end applications generating information. • Web services . The service layer; generate invocation traces. • Offline . The information is stored for posterior analysis; for example, Hadoop and data warehouses. • Near real time . The information is stored but it is not requested at the same time; for example, Apache Cassandra, and NoSQL databases. • Real time . The information is analyzed as it is generated; for example, an engine like Apache Spark or Apache Storm (used to make analysis over HDFS). help to start and restart fallen log servers. handle more volume than many traditional commercial brokers. this (very well paid) enrichment process is known as stream processing . • Record user activity . Many marketing and advertising companies are interested in recording all the customer activity on a web page. This seems a luxury, but until recently, it was very difficult to keep track of the clicks that a user makes on a site. For those tasks where the data volume is huge, you can use Kafka for real-time process and monitoring.